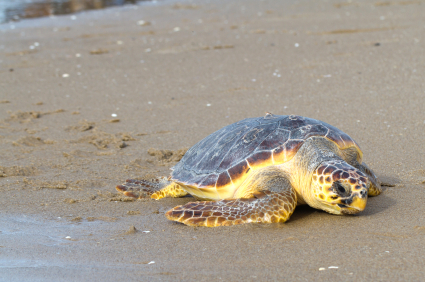 The hawksbill turtle certainly is a dying species: this reptile is not captured for its meat but for the so-called “tortoiseshell”, of which each individual can supply between two to six kilos. This material is used above all to make bracelets, earrings and other items (for instance glass frames and combs) and some species of sea turtles are also used to cook the well-known “turtle soup”. In addition, the turtle oil extracted from the turtle’s fat used to be considered a wonder drug by some European peoples as well.